If you haven’t seen yet, we posted new major PC and Mac versions on the main download pages for the month or December. 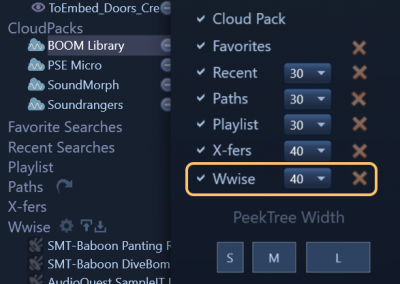 Audio Kinetic’s Wwise hardwired WAAPI integration added for your game audio cats. Check out the WAAPI Walk-Thru page to get you going with this sick new feature. Pro Tools: “Follow Session Folder” new and improved to work with sessions on a NAS or Avid Nexis server now. Options Page: Weekly Database Backup option. User Thesaurus: Can edit directly on the table now and many other UX improvements done. Import/Export Text File and BurnIn Panels have separate logs now with other improvements done. 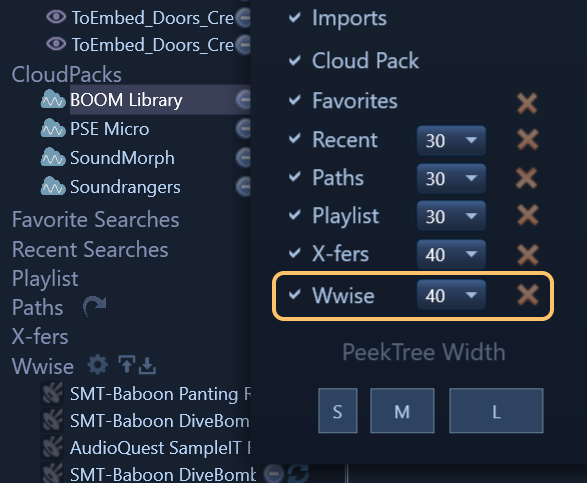 Results List Snapshots: now has 4 presets to store/recall Results List columns, order and width for people that switch between music and SFX work or anyone that need want to work with different layouts. Browser Page: added function “Remove All Recent Places” and also possible to remove current one only. Tons and tons of stability, tweaks and fixes as always along with UX improvements.